Are your students struggling with fact fluency? Do you wish they could move more flexibly between multiplication and division? 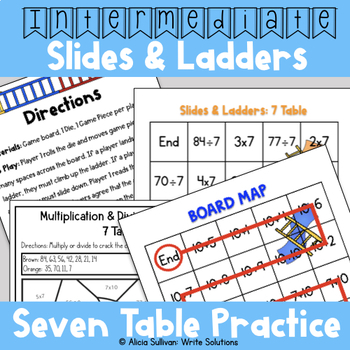 Slides and Ladders is the perfect game for your class! Whether you use this resource whole class, in a center or send it home for extra practice- students will have multiple exposures to the facts in each fact family. Click on the Preview above to get a closer look at the contents of this resource. You might like some of my other related products! This product is part of this BUNDLE.